DREMEC BEFESTIGUNGSELEMENTE GMBH, Oteluri si metale - prelucrare, Strunjirea otelurilor si a metalelor, Oteluri si metale - tratament de suprafata si imbracare, pe EUROPAGES. Our company endeavours to establish a trustworthy relationship with our customers and to advise you, as our partner, with technical expertise and in a friendly manner. In so doing, we want to be the best in our sector, by using the very latest technology and logistics and through our wealth of ideas. Customer requirements and satisfaction are our priority. Every employee must therefore perform their tasks with personal dedication and on time. Cleanliness and order in all areas of our business enable and bear witness to the highest possible quality in all our work and products. 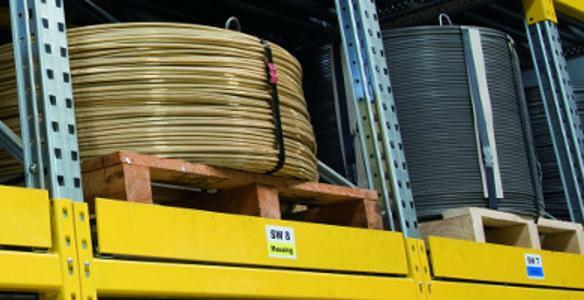 By means of a continuous production process, cost-effective storage and material planning for raw materials and finished products should enable optimum delivery readiness. Our international presence via trade partners means that you receive optimum service and reliability.